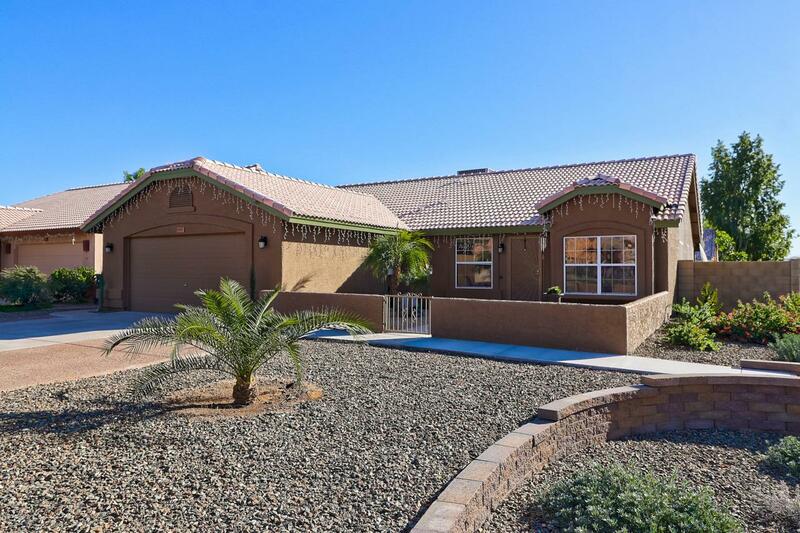 4 bed 2 bath home located in the North Phoenix neighborhood of Paradise North. 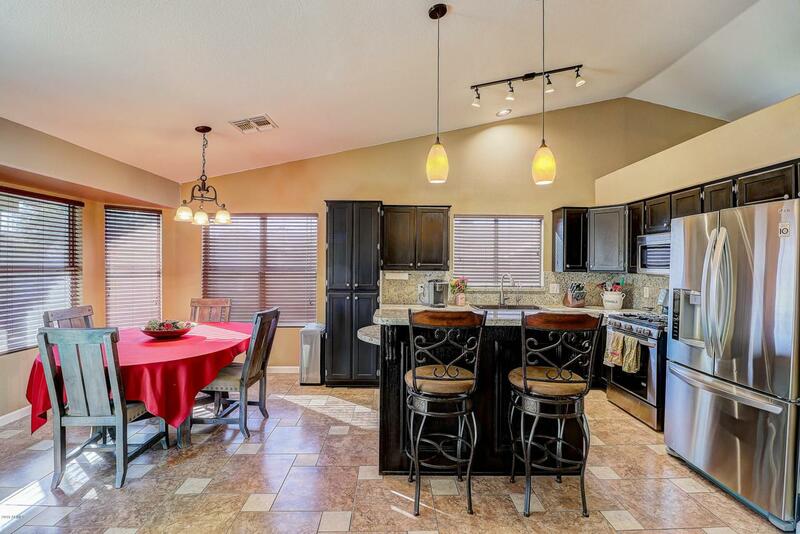 Open floor plan w/ vaulted ceilings, Espresso kitchen cabinets w/ granite counters w/ island and breakfast bar w/ custom pendant lights, stainless steel appliances w/gas stove and Fridge. Gorgeous engineered wood in all the bedroom & family room, tile flooring in the kitchen & living room. Gorgeous Master Shower has a spa-like Swedish shower w/ a stone entrance, dual sink vanity w/ granite and a walk-in closet. 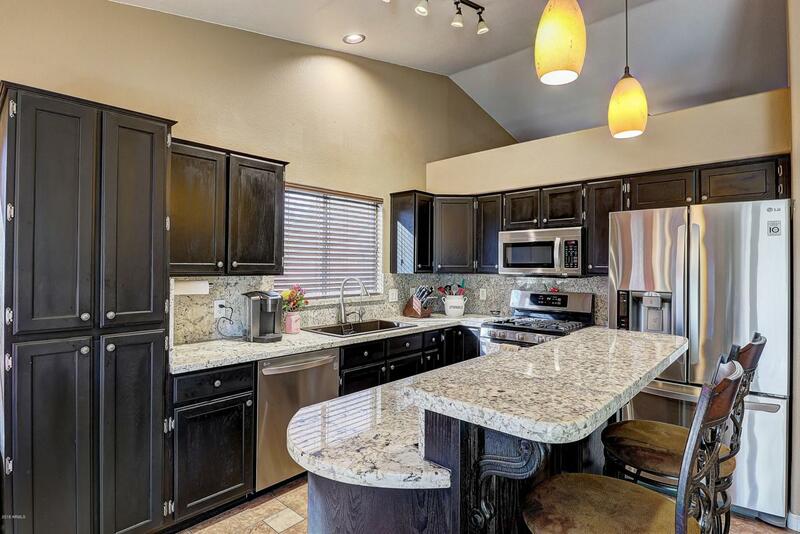 Inside Laundry room has cabinets , HVAC 2014, extended garage w/ cabinets & workbench, backyard has a pebble tech pool w/ streaming edition lights, covered patio has built-in speakers and a misting system, new landscaping drip system & timer, garden has a separate drip. NO HOA!